BYOD is upon us, and there is no turning back. Employees are increasingly using their own smartphones and tablets in the course of their work, sometimes with IT approval, most often not. Every organization is asking the question – how do we manage BYOD? How do we benefit from it? 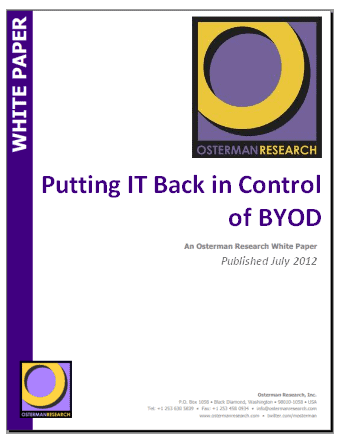 Leading mobility research organization, Osterman Research, surveyed close to 800 IT decision makers in organizations of all sizes, to publish an important study on BYOD – the trends, the attitudes, the impact, and best practices for managing and making the most of BYOD. The study is available to HyperOffice visitors for free.